Is This the End? 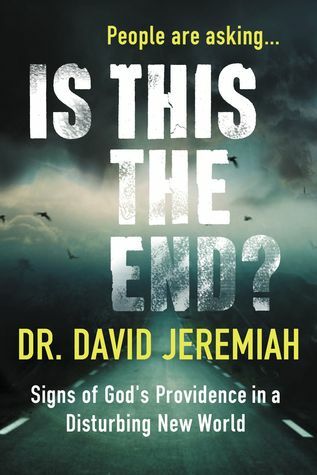 : Signs of God’s Providence in a Disturbing New World by David Jeremiah was published on October 4th, 2016 by Thomas Nelson. Synopsis: The world seems more fractured each day. People are asking, “Is this the End?” Never have the headlines been this jarring, the cultural changes this rapid, or the moral decay this pronounced. What on earth is happening? After each new occurrence, the most oft-heard questions are, “Will the world ever be the same again?” and “Where is God in all of this?”Over the last few decades, Dr. David Jeremiah has become one of the world’s most sought-after Christian leaders on topics that deal with biblical application and modern culture. And few would dispute that the pace at which things are currently changing is unprecedented. The time has come to accept this new normal, Jeremiah says, and understand how God’s hand is still at work on His eternal plan for mankind. The book is split into two sections, each covering items surrounding two important questions. Is This the End of America? and Is This the End of the World? 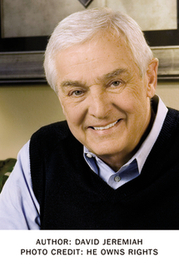 About the Author: David Jeremiah is the founder of Turning Point, an international ministry committed to providing Christians with sound Bible teaching through radio and television, the Internet, live events, and resource materials and books. He is the author of more than fifty books including Is This the End, The Spiritual Warfare Answer Book, The David Jeremiah Morning and Evening Devotional, and Airship Genesis Kids Study Bible. David serves as the senior pastor of Shadow Mountain Community Church in San Diego, California, where he resides with his wife, Donna. They have four grown children and twelve grandchildren.